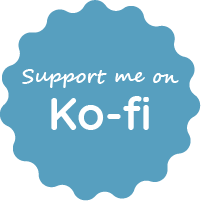 Gaming And God’s Ko-Fi Page Is Live! If your wondering why I can’t spell the word coffee, then you have never heard of Ko-Fi. That’s OK, because I only recently found out about it from my friends over at Beneath The Tangles. The owner, TWWK, created one for their blog which is a way for readers to donate toward projects or costs … More Gaming And God’s Ko-Fi Page Is Live! Leave a comment Gaming And God’s Ko-Fi Page Is Live!